The decision to own a handgun for self-defense is a tough decision for many people. For those citizens who have decided that they are going to be responsible for their own personal safety in states where concealed carry permits are issued, Para’s mew PDA 9mm (Personal Defense Assistant) is a great option for personal protection. The newest concealment choice from Para is the New PDA (Personal Defense Assistant) in 9mm Luger. Designed to fit the widest range of hands, the new Para PDA’s frame was designed around cartridges with the same overall length of the 9mm cartridge. This compact defensive powerhouse holds 8-rounds of firepower in the magazine and reloads faster than any two-inch snub-nosed revolver. But unlike those small revolvers, the Para PDA has a three-inch barrel. Like all Para pistols it comes with a match grade stainless steel integral ramped barrel to handle even the hottest +P 9mm defense loads. Because you need to see your sights to hit your target under all lighting conditions the Para PDA comes with tritium 3-dot night sights. 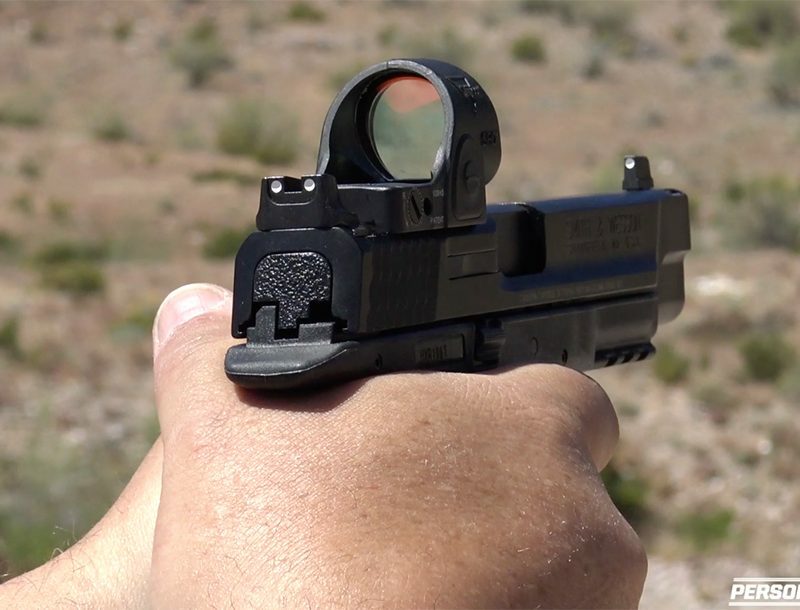 The PDA’s night sights are especially visible in low light conditions where most defensive encounters take place.